Safari Rooftop Grill - 7-11pm - RO 33 / 39 / 45 unlimited drinks with all packages, depends on what meat (or fish) you want. Mokha Cafe - 12:30-4:30pm - RO 39 (sparkling wine) or RO 19 for kids aged 6-12. Mokha Cafe - GRAND DISCO - 8pm-2am - RO 89 (full open bar) (Kids are RO 40). There is also a champagne bar in addition at a la carte pricing. If you book 10 tickets, receive 2 complimentary bottles of Moet & Chandon. Tuscany - 8pm-2am - BLACK TIE DINNER - RO 80 open bar. (Kids are RO 40). They also operate CAMP HYATT between 8pm-2am which is a special kids play area with Playstation, movies, face painting, snacks and drinks - free for parents attending functions at the hotel. Tomato - RO 19++ - 7pm - 3 course dinner under the stars. Trader Vics - 7pm - RO 28++ for a 3 course dinner including a Mai Thai cocktail, a la carte is available. The Gardens - 7pm - RO 60 per person - 80's retro night with open bar and flown in 5 piece British band "Counterflow". This is the cheapest Gala ball event in the city at a 5 star hotel. China Mood - 7-11pm - RO 45 set menu, kids are A la carte. The Gardens - 8pm onwards - RO 110 including booze (and bubbles) (Kids RO 45). Black tie gala with live band and dinner outside. Send up a flying lantern to start the new year. Shahrazad - 7-11:30pm - RO 50++ fvie course Arabic dinner with live belly dancing. Shahrazad - 7-11:30pm - RO 35++ fvie course Arabic dinner with live belly dancing. Guests not staying in the hotel can attend the Turtle beach party for RO 119.560 per person (kids under 12 are half price) - includes open bar, live band and DJ - 10pm-1am, with after party till 2am at BAB lounge or the Piano bar - the price also includes the choice of dinner in either Al Tanoor or Sablah (buffets). Guests who book a room can do any of the things listed below and then head to the beach party as part of their pricing below. Samba - 7:30-10:30pm - RO 35++ for a buffet dinner. Lazy Lizard - 7pm-1am - RO 45 (kids RO 22.5) including open bar, buffet dinner with Glitz and Glitter theme with guest DJ. O'Malley's - 9pm-3am - RO 10 entry fee (ladies free) with "Bright Lights Party" as its theme. 6. The Sheraton - 2237 7777 / reservations.oman@sheraton.com - Oman's tallest hotel! DEC 22 - 24 - Asado- 6-11pm - RO 39 - 9 course meal in their brand new (and very awesome) steak restaurant. DEC 25 - Courtyard - 12-4 - RO 30 (RO 40 with booze) Christmas day brunch with a very good spread a little departed from your regular Christmas fare. Countdown 2017 (organised by third party) - Held in Oman's largest ballroom, in Oman's tallest hotel - 7pm-3am - RO 25 (with 2 drinks) - for bulk bookings call 9779 8111 for volume pricing. Live entertainment by DJ duo Fully Charged from the UK along with support from 4 local DJ's. Buy tickets online by clicking here. Food available to buy a la carte from the hotel. JAN 1 - Courtyard - 12-4pm - RO 30 (RO 40 with booze) hangover brunch. DEC 25 - 12:30-4:30pm - The Restaurant - RO 46++ for Traditional Roast Turkey lunch/brunch. Drinks extra. 9am-12pm - RO 10 - Face painting, beads on a string, pool access for the kids. RO 35 for parents to go to the spa and have breakfast. DEC 31 - 7pm-2am RO 40 - kids sleep over party with child minders. RO 65 (includes drinks) Full buffet dinner with access to the NYE party later on. NYE Party - DJ Ola Ras providing the entertainment -RO 39 including drinks. DEC 25 - RO 20 (drinks packages available) for classic christmas lunch with a visit from Santa and activities for the kids as well as free pool access for kids under 12. DEC 31 - RO 35 including drinks for lavish buffet with live music and dancing. Room stay packages available. DEC 25 - Christmas Brunch - RO 25++ (kids RO 10++, under 5, free) (add booze for RO 12++). Traditional Christmas buffet with bouncy castle and Santa visit for the kids. DEC 31 - 8pm-3am - RO 30 (single, with 1 drink) RO 50 (couple, with 1 drink each). VIP tables (unlimited food and drink) - 4 people RO 300; 6 people RO 450; 10 people RO 750. DJ night with 7 international DJ's playing all night long. DEC 14 - RO 26 - In partnership with the national hospitality institute a Christmas dinner with bubbles on arrival and paired wines for each course. Live Christmas Carols from the Muscat Chamber choir. DEC 25 - Christmas set menu - RO 19.5 for a 3 course dinner, RO 16 for a 2 course dinner. DEC 31 - Masquerade Ball - RO 10 entry, to book a table there is a minimum spend requirement of RO 25 per person. The new section of the terrace will be open, so smokers can rejoice. DEC 16 - 6-7:30pm - Christmas tree lighting with carols. DEC 24 - 6-10pm - RO 32++ (Kids RO 16++) for an Omani / Thai fusion night. DEC 25 - 12-3pm - RO 25++ (kids RO 12.5++) for traditional Christmas lunch, Santa will be making a visit. DEC 31 - 7:30pm - 2am - RO 125++ (kids RO 62.5++) for their NYE event. DEC 25 - 1-4pm - Sakalan - RO 25++ (Kids RO 12++, Booze RO 35++, or Bubbly RO 45++) Christmas Brunch with a visit from Santa and live entertainment too. Sakalan - 7pm-1am - RO 99++ (kids RO 49++) NYE party with wine guru cutting bottles open with his sword and the cocktail mixologist whipping up some tasty treats. Magic, juggling and a fire show is the entertainment along with live music and a dance floor. French bubbles available a la carte. Mekong - 8pm-12am (then you can go to Sakalan for dancing) - RO 45++ (Kids RO 20++, booze RO 75++) for a Thai, Vietnamese and Chinese themed dinner. Mekong is the best restaurant in Salalah according to me! JAN 1 - 7am-3:30pm - Sakalan - RO 19++ (Kids RO 11++) for a lazy breakfast with cooked to order breakfast dishes. DEC 25 - 12-3pm - RO 22 for Christmas lunch buffet (traditional stuff and oriental options) with a visit from Santa for the kids. DEC 31 is fully booked - no walk-ins available! DEC 25 - 12-4pm RO 22 (book by 17 DEC and get 10% off) for Christmas buffer with santa visit and a half bottle of wine per person. Pool side party - RO 45 (or RO 85 for couples) including booze. Carnival theme party with live band and dj. Aqua Bar - RO 22 resident band and 5 drinks per ticket. DEC 31 - From 8pm - RO 24 (Kids RO 12) (booze extra, but complimentary bubbles at midnight) for a live buffet with 3 DJ's providing the soundtrack for the night. DEC 31 - From 8pm - RO 55 (RO 98 VIP) all inclusive party (inc booze) All White party - Live band and DJ's. DEC 31 - Reggae beachfest - Kevin Lyttle performing. DEC 25 - From 7pm - RO 20 including complimentary 1/2 bottle of wine per 2 people, 4 course gourmet dinner and live latin band and dancing. DEC 31 - From 7pm - RO 30 single, RO 50 couple - unlimited house drinks until midnight / RO 45 person for 4 course dinner and unlimited house drinks until midnight. Live band and a host of DJ's for the entertainment. DEC 31 - From 7pm - RO 30 including a glass of bubbly - lavish buffet at Mumtaz Mahal. DEC 31 - 7:30pm-2am - RO 50 (kids under 15 RO 15) Lavish buffet with live music, dj and dancefloor, drinks included. DEC 25 - RO 13 Christmas Brunch (kids RO 6.5) including welcome glass of bubbly. Santa will visit. DEC 31 - From 7:30pm - RO 16++ - Festive buffet dinner. DEC 31 - from 8pm - Live performance by Bollywood actor and DJ "Krazy Kat". Price unknown. DEC 24-26 - 12:30-3:30pm & 7-10pm - RO 10 Christmas Brunch buffet. DEC 31 - 8pm onwards - RO 40 (RO 50 with booze) for buffet dinner. Entry after 11pm is RO 25 (inc, booze). Retro theme with live band and visiting DJ's. DEC 24 - Pool Lawn & Beach restaurant - 7:30pm onwards - RO 40 for festive buffet with live music. 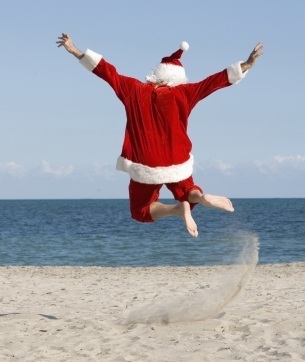 DEC 25 - Dolphin beach restaurant - 12:30-4pm RO 14 - Christmas brunch with Santa visiting the kids. Dolphin Beach restaurant - 6:30pm onwards - RO 50 - Omani buffet with live Omani band. DEC 31 - 8pm-1am - RO 55 per person (open bar) extensive buffer menu with over 100 dishes on offer. Carnival theme. Kids under 16 are half price. Live entertainment. DEC 24 - RO 17 - 3 Course set menu with half a bottle of wine. DEC 31 - RO 20 - 4 course set menu with half a bottle of wine. Ask about their family weekend "relaxation" room package. Al Zafaran - 7-11pm - RO 20 (with mulled wine) for a traditional Christmas buffet around the pool with live band and carols. Aqua Bar - 6pm-2am - RO 12 for Turkey dinner, glass of mulled wine and live latino music. DEC 25 - 12-4pm - RO 22 with half bottle of wine and buffet dinner, with Santa visiting the kids. Book by 17 DEC for 10% discount, groups of 10 or more get discounts too. Aqua Bar - 6pm-3am - RO 22 for entry into the bar with resident band. Entry gets you 5 drinks tickets. If you are reading this and there is a festive event you know about (or you work for a venue) then by all means please get in touch and send me an email - it is totally free to be included in the listings! Good luck everyone love to see everything around i'm visiting NYC this year for Christmas.